Whether you are a beginner or you’re a long-time runner, you’ve probably heard quite a bit about hydration. Many runners don't monitor their hydration until it's too late and cramping has started. Maintaining proper hydration is important for so many reasons beyond eliminating this unpleasant symptom of dehydration. Your body simply cannot perform at its peak level without good hydration. Every tissue and process in your body is dependent on fluids. 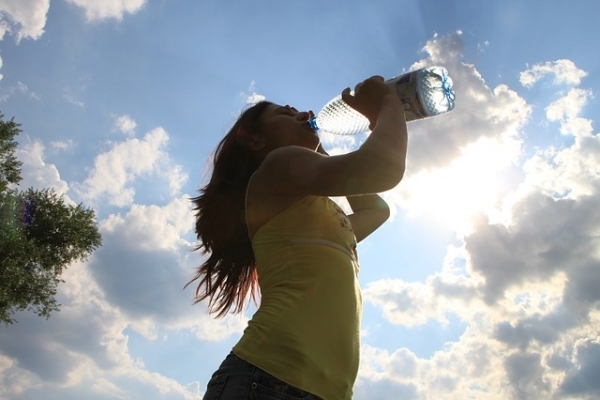 For athletes, proper hydration can also help to prevent heat stroke and other heat-related illnesses. Additionally, having enough water or sport drinks helps to keep muscles moving and can reduce the likelihood of injury. When dehydrated, athletic performance declines due to a corresponding decline in blood volume and fluid in the muscle tissue. Muscle cramps are only one of the symptoms of poor hydration. Others include fatigue, dizziness, and nausea. In severe cases vomiting, rapid heartbeat, and the inability to regulate body temperature can occur. It's difficult to gauge exactly how much water even non-athletes need. This is due to the fact that everyone’s biology is unique. Hydration needs can change based on the water content in the diet and other factors such as climate. Combining this with the increased hydration needs of runners can make this especially tricky. The simplest way to ascertain how much water you need on a regular basis is to keep track of your water intake and to observe the color of your urine and the frequency you need to use the bathroom. At optimal hydration, your urine should be light yellow in color. Most people will need to pee about eight times per day. You can keep tabs on how much fluid you need to maintain this and also track to see how your runs shift your hydration needs. Given the importance of adequate fluid intake for peak performance and for maintaining overall health, how can you make sure that you are hydrated? There are several ways to test for hydration levels. These include using a refractometer to measure urine density, sweat analysis, and measuring sweat loss. Obviously, some of these tools aren’t available to all of us, which is why tracking urine color is the foolproof option. To make sure you’re gauging your hydration accurately using this method, you may opt to compare your urine sample to a color chart. The other method available to most of us is to weigh yourself and track fluctuation in weight. Day-to-day changes in weight usually correspond to fluid levels. Thirst is an obvious indicator of poor hydration, but it should not be used as the sole indicator of dehydration. This is namely because, by the time you feel thirsty, you are typically operating at too much of a fluid deficit to remedy quickly. The optimal way to test for hydration at home is actually to use a combination of three of the at-home testing methods: Weight, urine color, and thirst. By monitoring all three factors, you’re more likely to preform better during your training. Electrolytes are the other component of optimal hydration and are particularly important to runners. Electrolytes include minerals like potassium, magnesium, sodium, chloride, and calcium. These need to be in balance in order for the body to function properly. When they are out of balance it can lead to muscle spasms. Electrolytes are responsible for guiding water molecules throughout the body and help to maintain fluid balance within cells. In order to be properly hydrated, you need the right levels of water and electrolytes. Drinking often is critical to maintaining optimal fluid levels. This is where your regular water intake comes in. How much water you need daily varies, so it's best to find your own personal baseline by tracking your urine color and frequency as mentioned above. Apart from that, we’ve all heard about the eight glasses of water per day. For runners, you may find that increasing water intake to one liter per 1,000 calories burned is better. 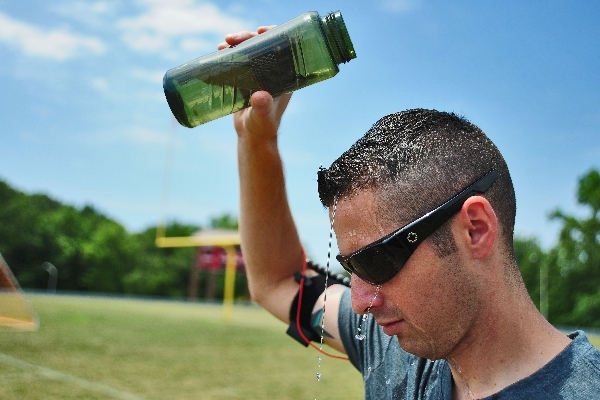 Long distance runners and individuals training in intense heat will want to drink throughout their workout. However drinking too much during your running session can affect your performance or cause digestive distress, so determine how much you should drink primarily by your thirst signals. Prior to an intense run, weigh yourself to establish a baseline. Weigh yourself following your workout to determine water loss. In order to rehydrate, drink 1 cup of water per every 16 oz lost. If you’re exhibiting symptoms of dehydration, such as a headache, decreased urination, and very dark urine opt for sports drinks that can provide you with the electrolytes you need and help accelerate your hydration. Avoid alcoholic and caffeinated beverages since they will counter the hydration process. 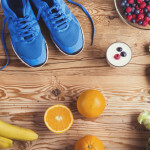 Sports drinks can be especially beneficial to runners since it replenishes the fluids and minerals, but also provide an additional fuel source. This last factor is more important for long distance runners but can prove helpful to any athlete. When selecting a sports drink, check the sugar levels and ingredients to make sure you’re selecting the best option for your fitness. Testing your hydration through weight, urine color, and thirst is only beneficial if you consistently monitor your hydration. With daily practice, you’ll be able to prevent some instances of dehydration and enable yourself to recover faster. You will also be able to ascertain the amount of electrolytes and fluids that work best for you based on your biology and running routine!